Ancient grains are all the rage now. It is no surprise actually, due to the increased interest in healthier lifestyles and the escalating prevalence of food allergies. Ancient grains have the dual benefits of better taste than white flour as well as increased nutrition over wheat alone, be it white or even whole wheat flours. 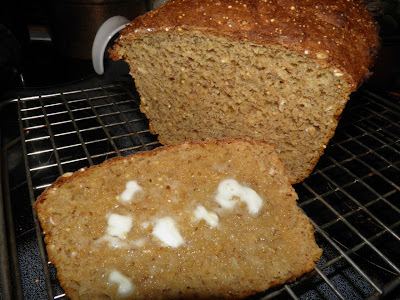 Many ancient grains have lower (or no) gluten so you have to be careful in quantities of gluten and non-gluten flours or your bread won't rise. I know this from experience. 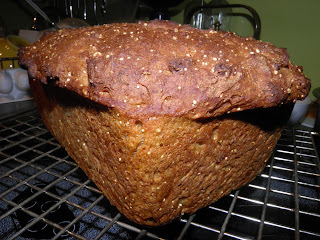 A few weeks ago I tried to make my own blend of ancient grains and I baked a brick. It didn't rise at all. It went right in the compost. Lesson learned. A very loose definition of ancient grains are those grains that have been used since ancient times. Unlike wheat they are still the same, not having being bred to nearly the point of non-recognition to their ancient kin. Selective breeding of wheat has resulted in increased yield, at the expense of nutrition. You are probably already familiar with many of these ancient grains. The hot list includes quinoa, amaranth, kamut, millet, spelt and teff plus others. The 12-grain flour at our local Bulk Barn has the following ingredients: hard whole wheat, whole spelt, kamut, granola oats, ground brown flax seeds, quinoa seed, amaranth seed, barley, whole rye, dark buckwheat, hulled sunflower seeds, millet seeds. That pretty much covers the list. Risen and into the oven. One may ask why you would use kéfir for the liquid. Too extreme a heat kills off the beneficial probiotics. But there's two good reasons for choosing kéfir. The first is that anyone who is making kéfir is probably looking for ways to use it up. It tends to multiply quickly if you stay on a proper schedule, The second is that although the beneficial bacteria may die, the act of culturing the milk alters it in beneficial ways that do translate through the baking into the bread. I have also read online that using kéfir increased the shelf life of some people's loaves. I have no way of corroborating their statements – yet. Finding alternate ways of adding kéfir to your diet is not at all a bad thing. It tastes great and only takes some milk, the "grains" and a glass jar to make it. I've grown rather fond of it actually. (It may also be because it is ever so slighty alcoholic…) Search this blog for "kéfir" for the full post. This was a pretty fast loaf. All told, probably 2 hours maximum time from start to finish. For bread that's lightning speed. 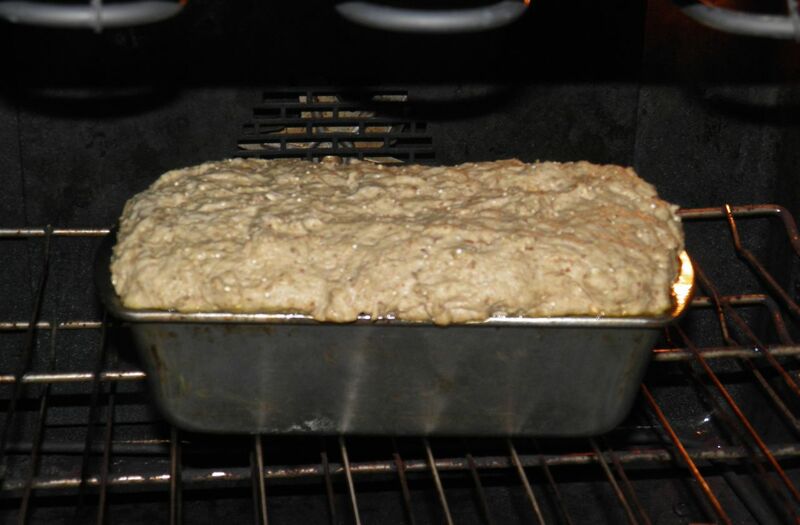 When this bread came out of the oven it smelled and looked like a good whole wheat loaf (with seeds). When sliced it looks somewhat more like brown bread because of the molasses. Because of the grains it was slightly heavier than a "regular" loaf. A warm slice with some butter was pretty tasty. I can't wait for toast in the morning. It may not have the loft of Grandma's white bread, but I'll sacrifice that for the additional health benefits this bread has the potential to deliver. Of course white bread still has a place in my heart. Heat the kéfir in a sauce pan to 110°F. If it goes any higher you risk the chance of killing the yeast you will add. Pour into a large mixing bowl. Stir the honey, molasses and yeast into the warmed kéfir. Let proof for 15 minutes. The mixture will be quite bubbly. 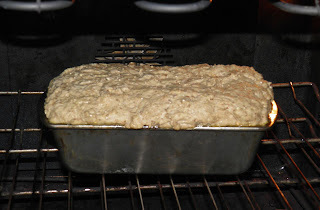 Pour the dough into a non-stick or well buttered 10" loaf pan. Allow to raise in a warm place. Keep watch because this won't take long if it's warm. I did my raise on a heating pad and it was done in about 20-30 minutes. Preheat oven to 400°F. Bake in the centre of the oven for 30 to 40 minutes. Cool for 10 minutes in the pan, then turn out onto a rack to cool. *If you want a somewhat "stiffer" dough you could add a little more flour. I almost did but resisted the temptation. But don't go overboard. This will always be a more substantial loaf than non-ancient grain.